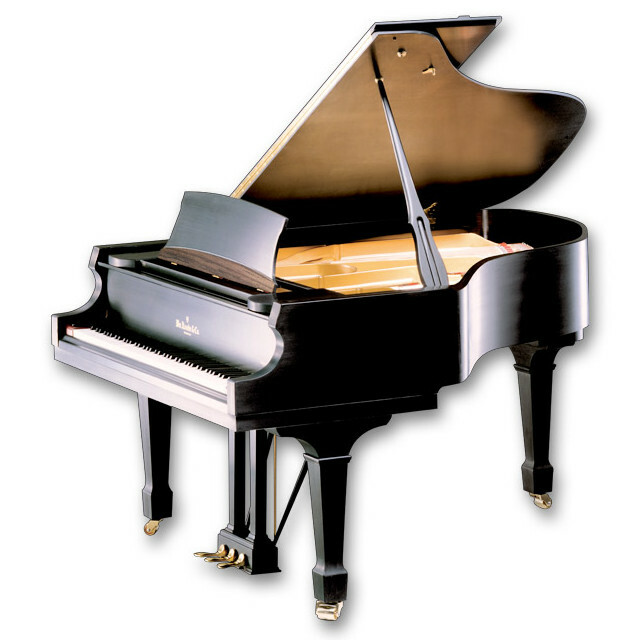 The Knabe WKG 58 Traditional Grand is one of their oldest heirloom models. It is big enough for the aspiring artist yet small enough to fit into a standard living room. 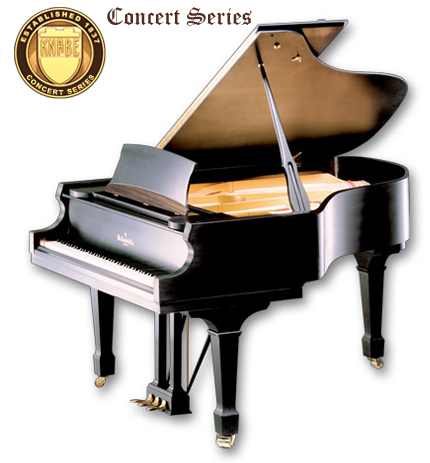 Available in ebony polish, ebony satin, mahogany, cherry or walnut finish with 7¼ octave (88 keys), 3 pedals (including sostenuto), modern scaling with front and rear duplex, genuine Renner action, Strunz tapered solid spruce soundboard, and slow close fallboard system. L: 174 cm / 5´8"
W: 151 cm / 4´11.5"